Isaac James Baker has worked as a reporter, freelance writer, editor, and communications specialist. His poems and short stories have appeared in publications around the world. 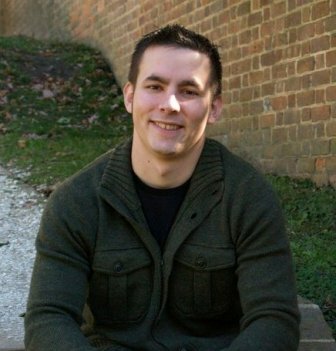 He is currently working on an MFA in fiction writing from Johns Hopkins University. His first novel, Broken Bones, the story of one man’s struggle in an eating disorder psychiatric ward, comes out in June from The Historical Pages Company. In today’s jmwwblog interview, Senior Nonfiction Editor Dario DiBattista talks to Isaac about this forthcoming novel, the relationship between journalism and writing fiction, and the currency of experiences. Dario DiBattista: Please tell me a little about how you got involved in writing in the first place. You started off as a journalist right? How did this orientation help you when you decided to take fiction more seriously? Isaac James Baker: I went to journalism school in New York at Long Island University. I was a co-editor of the school paper there, and I had a freelance job with a news agency at the United Nations. I immersed myself in the news world for a couple years. I wanted to be a cops reporter because I thought that would be an absolute blast. Laughter. I don’t know why I was thinking that. I worked at a daily newspaper for a while; had to cover a couple very horrible things that happened to people. It gave me ideas. DD: What are the skills of journalism that you’re able to apply to your fiction writing? IJB: Broken Bones is based on a horribly vivid and chaotic experience that I went through, and as I went through it, I applied the skills I learned as journalist to really just documenting things. The emergency room doctor signed that I was too messed up that he couldn’t care for me. I was so shocked that I couldn’t see this at all, so I started writing down the conversations I was having with the medical staff. All I had was a notebook and a pen and some journals. So I started writing things down—the most minute details of this rehabilitation center. It was such an extreme environment that I felt like a reporter on assignment there. DD: Mentioning your novel, a lot of it is inspired by these real-life events. What exactly happened and how did this become your novel? IJB: In the summer of 2008, my marriage ended. I was married at 21, and when I was 25 my wife left. It kind of threw me for a loop. I literally didn’t sleep and I didn’t eat; it was a very quick fall. I stopped talking to people. I didn’t spend much time with family or friends. So, no one was there to call me out on the fact that I was deteriorating very quickly. I ended up to the point where I was 5’10” and I ended up weighing 98 pounds at one point because I hadn’t eaten for a month. I was literally peeled off the floor of my apartment and dragged to emergency room. And they had no idea what to do with me there. I had no idea where I was, or what was going on. So they said the only chance I would have to survive would be to go to this rehabilitation center for anorexia and other eating disorders. So I went there, signed the papers, admitted myself—despite the fact I didn’t really remember that. So I woke up and the doctor told me I could quite possibly die. I couldn’t metabolize food anymore. And they had to give me phosphorus packets to metabolize meals. One of the attendants said this was the worst she had ever seen and she was surprised I was alive. At this point, I started to gain my consciousness back, and I’m essentially going through this eating process at this hospital. I finally figured out where I was and I became very scared. They couldn’t let me out. If I had to tried to sign myself out I would have been turned over to the ward of the state because I would be doing myself harm. So I knew I was stuck. And that’s where it was, this experience of being stuck, that drove this project. DD: Were you the only male in the hospital? IJB: I was one of two. At the time people came in and came out while I was there. For the most part though, it was just me and one other gentleman. It was incredibly odd to be a 25-year-old man with a bunch of teenage girls. It was an extreme environment that I tried to document in this book. DD: Was it tough to write about experiences that were no doubt very traumatic for you? How did you approach this reality as you began the writing process? IJB: It wasn’t hard at all; it was therapeutic. I had to write when I was at the hospital, it kept me sane. And afterward I had to go back and relearn how to live, essentially. I had had this near-death experience, and I had to learn how to go back to work, and how to be alone. And the bills were outrageous. The day I got out of the hospital I just made a commitment to myself to write two hours a night on weeknights and four hours a day on weekend days. I think whenever a writer goes through some sort of tragedy, if they really love what they do, they’ll fall back on writing. So that’s what writing this book did for me. DD: So what’re you going to do when your novel becomes a best-seller? Are you going to buy the 18-year Jameson? Purchase a house for your folks? Go on a three day bender of pancakes, hookers, and blow? Please order those three possibilities in a 1, 2, 3 priority scale, 1 being the most important. IJB: Laughter. Any money that I do make, which is probably not going to be any, is going to go towards making experiences that I can write about later: hanging out with people, traveling. I don’t really have any worldly possessions—I just have experiences. That’s why I write: to portray those experiences, I have them so I can write about them. Maybe I’ll head back to visiting New Orleans again. To learn more about Isaac James Baker, please visit his website: http://isaacjamesbaker.com/. Linda, I’m glad you found it “interesting”! The stuff in this novel, I just couldn’t have made up. While I guess to some degree all fiction is based on “experience,” however broadly that term is defined. But this book is based on a very specific experience. I hope you enjoy it when it comes out. Cheers. Great interview and fascinating subject matter. I look forward to reading it! I’m amazed that such an original and chaotic experience can be dealt with maturely and successfully. What a journey! Congratulations and best of luck!